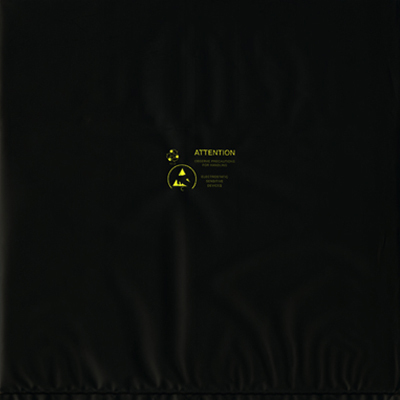 Vinyl 12″, Antistatic Bag – Ltd. Ed. 512 ex. Live-recordings of Harddisko: 16 computer harddrives on power. Superreal computer music. Upon powering, each harddrive moves with its own speed and pattern, as directed by the firmware and mechanical constitution. Electromagnetic emissions picked up as acoustic signal reveal the specific tone of a drive. In various formations, the harddrives perform according to their past usage and current state. Valentina Vuksic (CH – 1974) is a computer artist and programmer living and working in Zürich. She explores an individual articulation of hard- and software mediation. The processes in such intermediate space imply actors rendered audible. Each record is hand packed with an antistatic bag, sealed by a sticker and numbered. 12″ LP, Antistatic Cover – limited 512ex.